Berlin (AFP) - Bayern Munich's Karl-Heinz Rummenigge has welcomed plans to revamp the Club World Cup, two days after the idea was rejected by UEFA and the European Club Association (ECA), to which Bayern belongs. "The current Club World Cup in December is a nonsense," Rummenigge who is both Bayern chairman and honorary chair of the ECA, told Sunday's edition of Frankfurt-based newspaper Frankfurter Allgemeine Zeitung. "I understand why FIFA should want to reform this competition." Last Friday, however the ECA threatened to boycott plans to expand the annual Club World Cup to 24 teams in 2021, a project led by FIFA President Gianni Infantino, and Rummenigge criticised the Swiss boss over his handling. "I think that Gianni Infantino was wrong not to agree beforehand with the ECA and with (it's president) Andrea Agnelli," answered Rummenigge, when questioned about the attitude of Europe's top clubs. "This led to this public defensive position, I regret it and I do not appreciate that between FIFA, UEFA and ECA there is not a basis for positive discussion." The ECA, founded in 2008 with 16 teams, represents Europe's top sides and currently has 109 members, including Rummenigge's Bavarians. 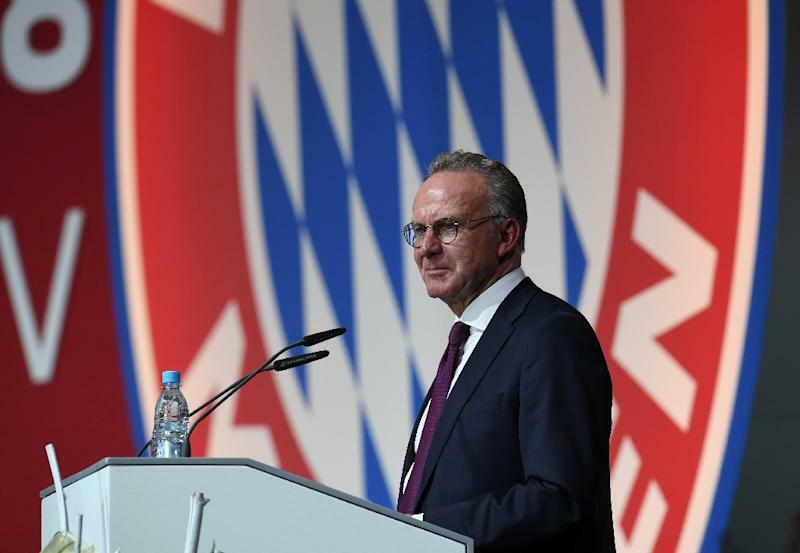 Rummenigge believes the ECA must have a say in the distribution of revenues for this new event. "I have heard that a portion of the revenues will go to the national associations, but I think (the deal) is not done yet and the solidarity contributions have to go to the leagues and their clubs - that's obvious. "At the end of the day, it's a competition played by clubs." However, the Bayern boss is unhappy that the plans include replacing the Confederations Cup, held every four years at the end of the season before a World Cup, in the already over-crowded football calendar. "Every time, we are asked to make our players available, without us getting any benefit as a club," Rummenigge complained.